I love a good bowl of noodles especially on a rainy day. 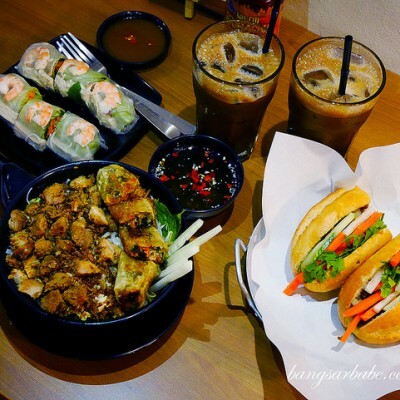 It can be kuay teow, ramen or udon; I don’t really care. What I do care about is how the noodles are prepared, because that determines the outcome of the dish. 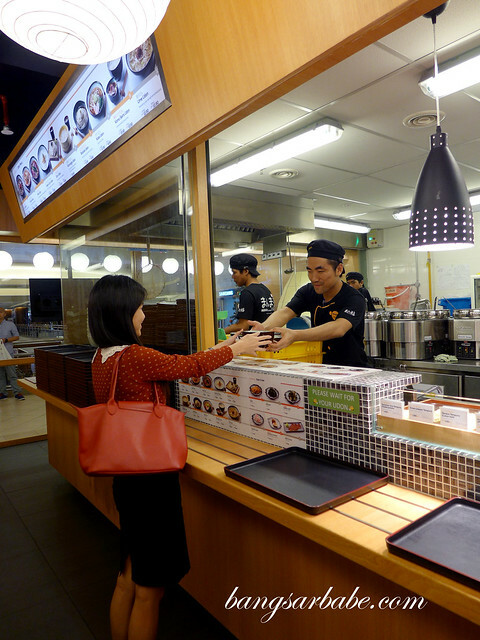 Manmaru Udon operates as a self-service udon restaurant using Japan imported machinery and expertise from Japanese chefs. 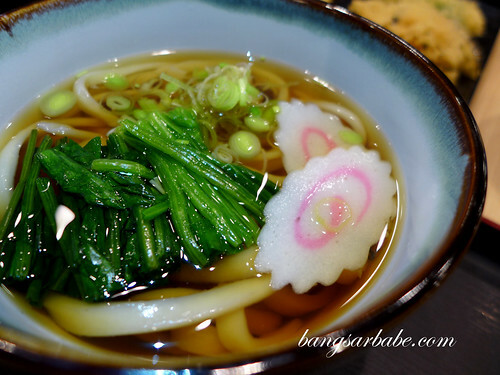 The udon are made fresh with 100% wheat flour from Japan and cooked until “koshi”, where the state of the noodle is supple with a springy texture. You basically pick your choice of udon (there are currently 10 options), prepared on the spot, and then your preferred tempura or side dish to go with it. There’s no right or wrong way to eat your udon; it’s all about personal preference and that’s what I like about the Manmaru Udon concept. Since it was an invited food review, I was given all the 10 udon types to sample along with some tempura of my choice. Traditionalists would like the Kake Udon (RM8.90 – small, RM10.90 – large), a classic udon that featured thick, slithery noodle strands in soy broth. As I made my way through all the udon options, the Bukake Udon and Zaru Udon stood out. The former was served cold, in a thick dashi broth that was full of umami. 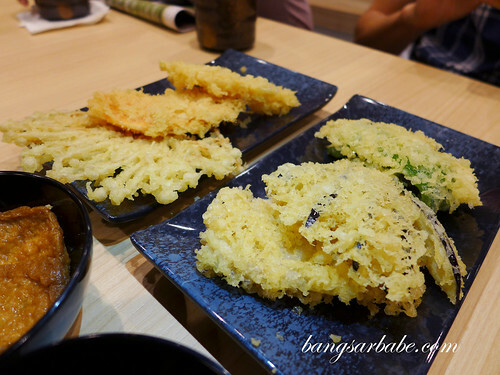 Zaru udon comprised noodles topped with shredded seaweed and served on a bamboo tray. 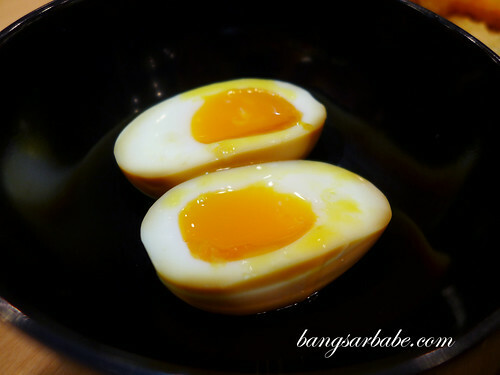 I ate this with cold dipping sauce and a good dose of wasabi. These two udon were the most “koshi” of the lot, possibly because of their chilled nature. Curry Udon has always been a personal favourite of us both and the version at Manmaru Udon didn’t disappoint. And when you have chicken karaage to go with it, even better. Curry and tempura makes an awesome combo. 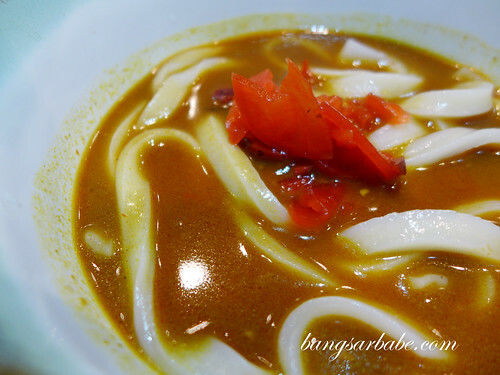 Those who like their soups more robustly flavoured should try the Kimchi Udon or Ume Udon. 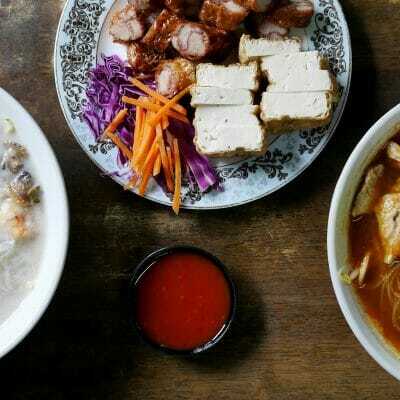 The latter’s broth is tangy from the addition of pickled plum. 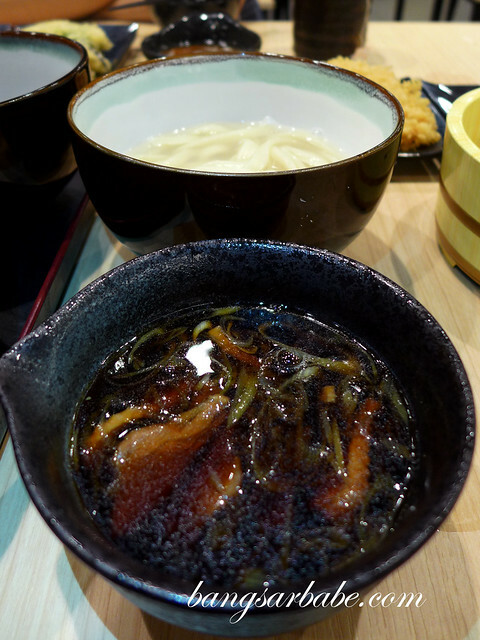 Kamo Seiro Udon came dipped in a smoky-sweet duck based sauce and was pretty fun to eat. 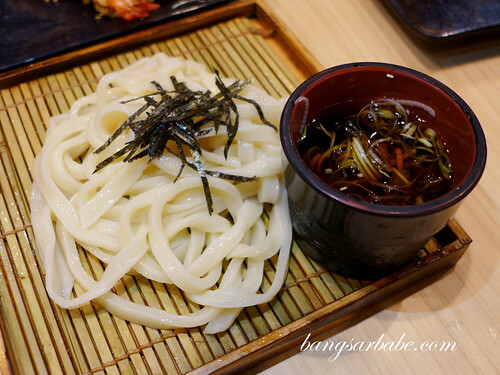 Kamaage Udon comprised plain noodles cooked in boiling water and served with warm dipping sauce. Fairly simple to eat, and I liked how the light sauce complements the springy texture of the noodles. 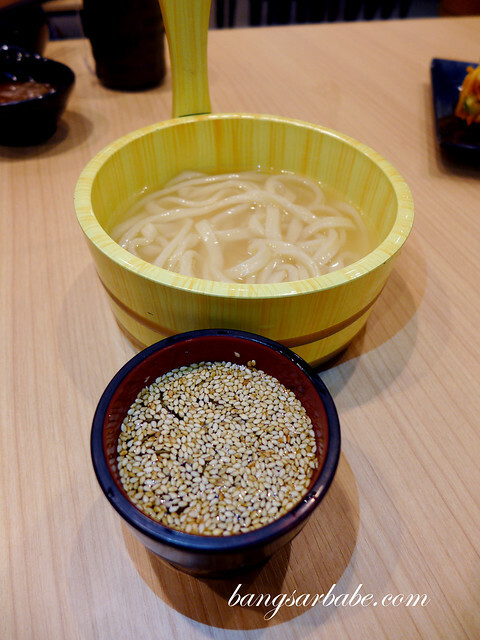 Niku Udon was another favourite of mine which I ate with tamago. The beef slices were thin and tender; a nice contrast to the chewy noodles. Verdict: Springy, handmade udon at an affordable price.